FATHOM production centers operate 24 hours a day, 7 days a week to meet your prototype fabrication and low- to high-volume manufacturing needs. From speed to expertise to quality, our award-winning services will accelerate your product development and production timelines.  Start a conversation today by either (1) sending an email, (2) logging into our online quoting and ordering platform, or (3) uploading files using the form below. On Demand Digital Manufacturing by FATHOM is an online platform that provides users with quick and easy access to quotes and orders for prototyping and production parts—utilizing the most advanced technologies, materials, and processes to help you innovate products better, faster, and more efficiently. If you’re not sure where to start and have 3D CAD files ready to go, use the form to get started (STEP, IGES, STL). Please be sure to include email, phone number, zip code, and any critical application requirements. FATHOM offers a wide range of services that include but are not limited to additive manufacturing, urethane casting, CNC machining, tooling and injection molding, managed services, and engineering/design. If the upload form doesn't display within a few seconds, refresh your screen. You can also submit your request for quote to info@studiofathom.com. Do you want to call the FATHOM customer service team directly? Talk to a FATHOMer on our Oakland or Seattle teams by calling 510.281.9000. You’re also welcome to email us at info@studiofathom.com.  To receive “Technical Data Transfer Instructions” for ITAR projects, please click the button to fill out an ITAR-specific form and an account manager will follow-up with information on how to submit files to FATHOM—do not use the form on this page, do not email any files directly, and do not submit ITAR projects using FATHOM’s online platform that requires login.